Advances in solar technology have made many DIY-friendly products available to consumers, several of which will be hitting the market for the first time in 2011. These include solar water heaters, solar battery charging stations, solar powered lights, photovoltaic shingles that provide supplementary electricity, solar heat pumps, and solar panel kits that generate primary home electrical service. 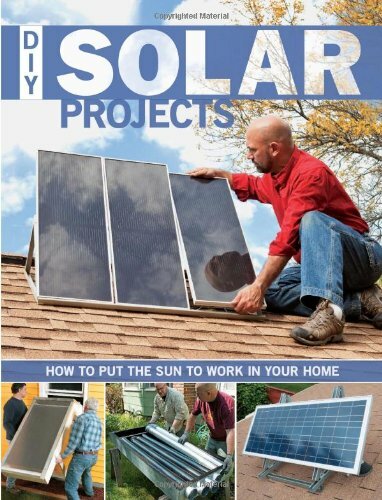 Among the step-by-step projects is a solar water heating system you can build and install yourself for under $1000; simple thermosyphon solar heat collectors for barns and outbuildings; or heat grabbers that you can fabricate for $50 in materials and position below a south-facing window to provide auxiliary winter heat. Small Solar Panel DIY Polysilicon Solar Epoxy Cell Charger for science project..